You will be given a reference e-book to read which has 595 pages And the test will be based on that e-book , you can take final test within 1 year of purchase. Refrigeration refers to the specific process used in moving heat from one place to another. Transporting heat is usually done with the help of mechanical work, magnetism, laser, electricity, heat and any other effective means. It should also be noted that refrigeration comes with a variety of applications including household refrigerators, air conditioning, cryogenics and industrial freezers. Heat pumps are also said to utilize the heat output which is usually taken out of the whole refrigeration process. These pumps may also come with reversible designs but have characteristics that are closely the same to refrigeration units. It should also be noted that there are a lot of methods that you can use in refrigeration. The first one is the non-cyclic refrigeration which accomplishes cooling tasks either by subliming dry ice or melting it. You can expect this method to be useful in small-scale refrigeration including portable coolers, workshops and laboratories. Another popular method is the cyclic refrigeration which is usually characterized by removing heat from a source or space with low temperature and rejecting it to a sink with higher temperature through its inverse which can be defined as a thermodynamic power cycle and external work. Thermoelectric refrigeration is also popular and this is said to use Peltier effect in creating heat flux in between 2 material junctions. Other useful and popular methods that are now used in refrigeration are magnetic refrigeration and thermoacoustic refrigeration. If you want to become recognized as a certified refrigeration professional by working effectively in this industry, then a wise advice is to access Brainmeasures which is a highly remarkable online certification company because it now includes an impressive refrigeration certification program among its many offers. Enrolling in the refrigeration course offered by Brainmeasures is extremely beneficial for you because this is guaranteed to work in strengthening your background about this somewhat complex field. With the help of the company’s refrigeration training, you will know exactly how refrigeration works, the different methods that are now used in refrigeration, how you can apply all these in various environments, the major components of all effective refrigeration systems and all the benefits provided by these systems. 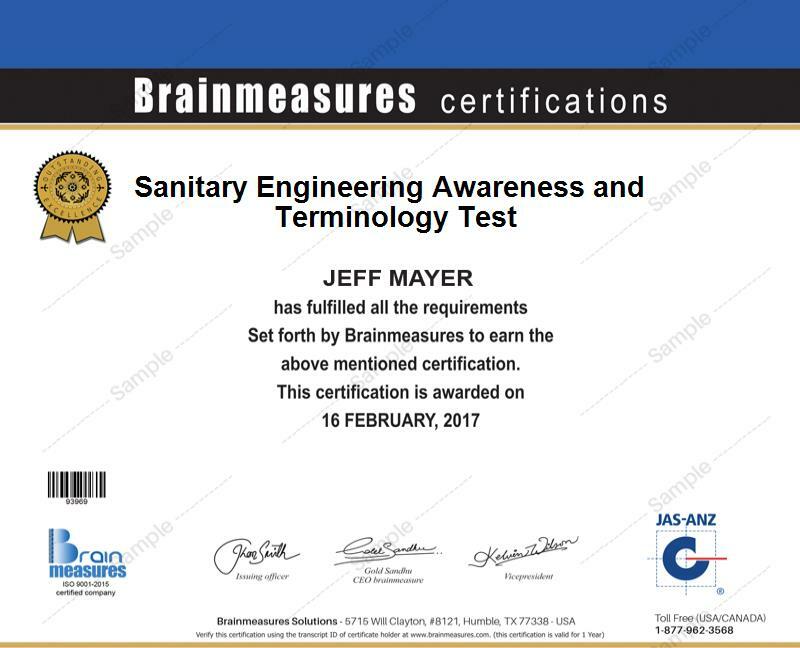 Receiving a refrigeration certificate from Brainmeasures will strongly indicate that you have what it takes to become one of the most proficient and competent refrigeration experts in the industry at present. The refrigeration certification program which is now easily accessible at Brainmeasures aims to offer numerous benefits to hundreds of professionals especially those who form a huge part of the refrigeration and cooling industry. This certification course is most suitable for all operating engineers, plant managers, maintenance engineers, refrigeration professionals, refrigeration systems developers and administrators and any other individuals and professionals who are in great need of a stronger background about refrigeration. Upon taking a hold of a refrigeration certification, you will also instantly notice a significant increase in the level of your income. Your refrigeration certification can offer financial rewards for you especially if you use it to work as a refrigeration engineer because it allows you to enjoy around $41,000 to $68,000 annually. You can also take full advantage of your certification by using it to become a refrigeration consultant because you will surely enjoy an average annual salary of $94,000.